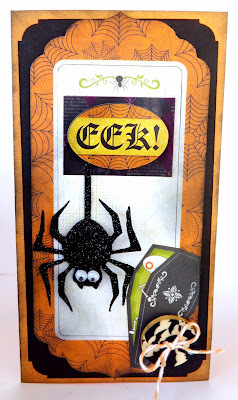 Sarinda here to share a fun Halloween card. 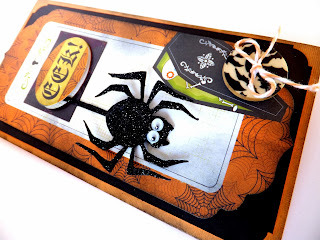 I am using Bo Bunny Fright Delight I want it all Bundle from FotoBella.com. This is a fun cheerful collection for Halloween. I am loving the sugar skulls in this bundle. More to come with those-!! Hope you have some time to get some creative time in this weekend.